Stargroves’ story begins like those of many indie bands, but unlike most such starry-eyed hopefuls, this dynamic group of NYC dreamers are making their fantasy a reality. Stargroves was the brainchild of NYU student and lifelong musician Teddy Watson, who fronts the band, writes their songs, and recruited its eclectic and talented members. Inspired by upbeat, unique visionaries like Stars and Sigur Rós, in 2012 Teddy took an exotic three month hiatus to Iceland to get away from the constant drone of NYC and focus specifically on music. In the solitude of Reykjavíc, Teddy relearned how to listen, to embrace the beauty of silence, and loudly celebrate the victories. Teddy returned to NYC with the majority of the debut album written. We caught up with Teddy to discuss living in Reykjavik vs. New York, the bands favorite gig…in Albany, and what’s on their music playlist right now. Discosalt: How would you describe your sound? Stargroves: We can be really poppy, but we can also get very dreamy and experimental. I think our best songs are the ones that dabble in both spheres. My main focus in songwriting is making sure the tracks are melody-driven. D: What are your musical influences and idols? S: Stars is my biggest personal influence and I try my best to sound like Torquil Campbell. I’m also super into Sigur Ros, The Innocence Mission, Freelance Whales, and a lot of indie pop bands. D: When did you first become interested in making music? S: I’m not totally sure what made me decide to start, but I’ve been writing songs for as long as I can remember. When I was younger my dad would pick me up from school and drive me to bars and pubs in Virginia where I’d play Dylan songs. As I grew up I learned pretty much any instrument I could get my hands on. D: How did you come up with the name Stargroves? S: Honestly, I just liked the ring of it. It’s the name of this estate in England that’s been around since the 1600s and various rock bands including the Rolling Stones have used it as a recording studio. D: Teddy – you spent several months in Iceland before forming the band. Why Iceland? S: To be honest I had been wanting to visit Reykjavik for a long time. Icelandic music has been a huge inspiration to me, and it just seemed like the perfect time to make the trip! D:Was there anything you missed about New York in Iceland? S: Yes. Being able to have food delivered at all hours of the night for one. Also friends, and band practice of course. D: How has Icelandic music and culture inspired your music? S: I remember being drawn to bands like Sigur Ros and Mum because they were shocking. I hadn’t heard anything quite like it before and that was powerful, the the best thing that came out of it was bringing me to Reykjavik. When I was there in January, the sun would rise at 11:30 AM and set by 3:30 PM, and there was about four feet of snow, so you basically had to have a monster truck to drive anywhere, and people did. Coming from New York it was a big adjustment, but I fell in love with it pretty quick. While I was there, I wrote the best songs I’ve ever written, songs that I’m really proud of. I plan on making the trip at least once a year, maybe during the summer next time! 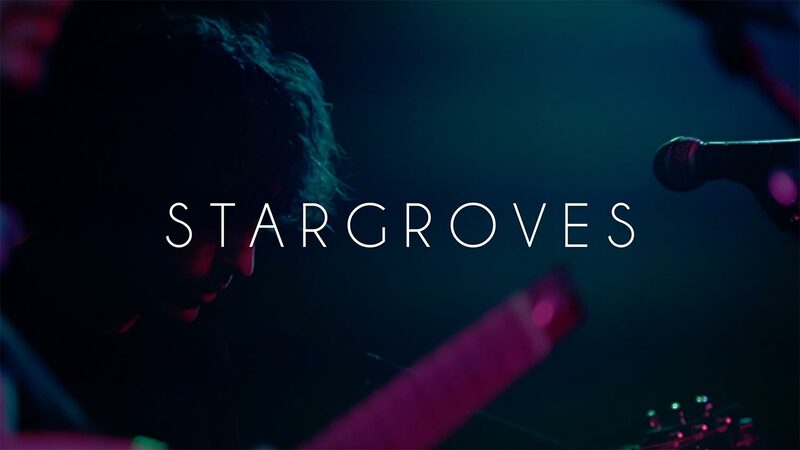 D: Stargroves has been getting a lot of attention since the release of the song “Westfjords”. How did the collaboration begin with Abigail Beslin? Are there plans for future recordings together? S: I’ve known Abbie and her family for a few years now, and they are some of the kindest most talented people I’ve ever met. I’m glad to say we’ve become friends. When I got back from Iceland, I asked Abbie if she would sing on a few songs, which she accepted and we had a lot of fun recording them! As for the future, she is singing lead with me on our next single, and we’ve been talking about doing shows together. D: What was the most interested gig you’ve ever played? S: There have been a few really good ones this year. One really memorable one was a festival in Albany. We’d never played Albany before, and I’d been told not to expect much because it’s really tough for out of town bands to draw in Albany. On top of that we hit crazy traffic and got there 5 minutes before we had to go on. When we started playing there was nobody near the stage, but by the time we finished the place was crowded and the crowd was super receptive/energetic. it turned out to be a great show. D: Is there a New York Music Scene or community that you feel a part of? S: We don’t play in New York very often, maybe just three or four times a year. Most of our shows are in other cities. When we do play in New York, however, it’s usually with really great bands. There’s a lot of talent here. D: What’s your favorite bar or venue in New York? S: Well there are a lot of venues we’d love to play in New York but haven’t yet had the chance to. For instance, we’ve been wanting to play at Rockwood for ages and that’s one of the reasons we’re so excited about our release party this July. Of the ones we’ve played in though, the Bowery Electric is definitely a great one. Great room and really friendly people who run it. D: What’s on your music playlist right now? S: I’ve been listening to The Innocence Mission a lot lately. Also Mates of State. Also I’ve finally been listening to some of the newer Sigur Rós album there’s some good stuff there. D: What would you like to see Discosalt feature more of to help new artists? S: I’ve noticed you guys features a lot of really interesting indie bands which is awesome. I love the feeling of discovering an awesome new band. I do wish that blogs in general covered more live music, because I feel like a bands live performance can be so different from their tracks. Maybe that’s just me.